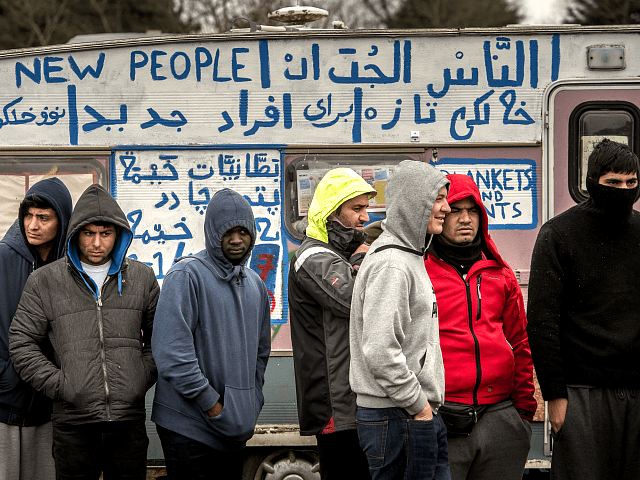 Rekawt Kayani, a 36-year-old migrant granted British citizenship seven years ago, had reportedly built an extensive network of contacts in migrant encampments across France, Greece, and Iraq. He was arrested at his home in Derby, northern England, in May 2016, following a joint Anglo-French investigation, and extradited to France to stand trial. A court in Lille heard how Kayani organised smuggling operations running from Dieppe, in northern France, to Newhaven, in East Sussex. He was also linked to an incident at Harwich International Port in Essex, where 68 migrants from Afghanistan, China, and Vietnam were found hiding in four lorries, and another incident in which seven migrants from Iraq and Vietnam were found stuffed in a hidden compartment in the back of a ban. The court sentenced Kayani to seven years and imposed a 100,000 euro fine, as well as a lifetime ban from France which will go into effect after his release. Seven other people-smugglers said to be part of his gang were given sentences of between 18 months and seven years. “Gangs involved in organised immigration crime treat migrants as nothing more than a commodity they can profit out of,” commented Mike Pope, for Britain’s National Crime Agency (NCA). “Individuals found as part of this investigation had to endure horrendous conditions, crammed inside small compartments or locked in the back of lorries for hours on end,” he added. Home Secretary Sajid Javid is entitled to strip foreign-origin individuals such as Kayani of their British citizenship in order to facilitate their deportation, if he deems their presence in the country is not “conducive to the public good”. It is not clear whether of not he will do so, however.